In the world of marketing, content has definitely changed the way marketers present their brands to consumers. As more and more brands choose creative content for engaging with their consumers, the need to stand out increases every minute. Indian Content Marketing Awards aim to promote and recognise the talent, expertise and hard work that go behind cracking breakthrough ideas & concepts to create exceptional brand stories. The e4m Content JAM Conference aims to bring together leading Global and Indian experts of content marketing to share the latest knowledge, the most effective tactics and the modern technology within the content marketing discipline. The conference is your first class ticket to India’s bright content marketing future! Any audio, text and/or pictorial content created for digital platforms like social media, blogs, podcast sharing platforms, whitepapers, etc. to promote a brand/product/service can be entered this category. The campaign could be for single/multiple platforms. Any video content (single/series) created to promote a brand/product/service on digital platform/s can be entered in this category. Any long or short format content either sponsored or created by client to promote its brand/product/services through television can be entered in this category. Any campaign which has used experiential marketing (online/on-ground) to promote a brand/product/service can be entered in this category. This includes on ground activations, trade activations, events, etc. Any campaign that has used audio, video, text or/and pictorial content across multiple digital and/or traditional platforms to promote a brand/service or product can be entered in this category. The focus should be cohesive trans-media story telling rather than just patching onto various mediums. The key is to link the content across all media to one story where the mediums are used effectively and not just to amplify the content. Any campaign which has used single or multiple social media platforms (twitter/facebook/ linkedin/ instagram/pinterest/snapchat/etc) to address a brand challenge and/or to drive engagement can enter this category.This category will be judged based on the quality of content, coherence with brand values, and measurement of engagement by percentage and effective use of the platforms for distribution of the content. Any campaign that has used innovative ideas to drive conversations using print medium can be entered in this category. How the medium has been leveraged to utilize the property is the key. Any campaign which has used radio as a medium to distribute content in which brand philosophies are very subtly integrated through story telling can be entered in this category. Any brand that has used content marketing to effectively launch or relaunch their products/services can enter in this category. This category needs to be specifically supported by the following. Annual Calendar- Timeline of activities held round the year. A content marketing campaign which has been running for more than 2 years can enter in this category. This could include seasons, series, etc. Any content led campaign which uses characters from movies, novels, etc can be entered in this category. This category focuses on how a particular piece of content or campaign was promoted using various media and how the platforms/channels were used for leveraging the marketing ecosystem to popularize the content. Any brand/agency which has created content specifically for mobile or used mobile as a primary/secondary medium to promote its products/services through content marketing can enter this category. This may include the use of games, apps, cross-screen marketing, etc. Any content which is sourced through crowd to start conversations and increase brand engagement can enter in this category. This category is all about how a brand/agency got the crowd to generate the content. Any campaign which has an integration of technology, machine learning and artificial intelligence with the content program can be entered in this category. Any campaign which integrated and leveraged industry influencers/celebrities to create and/or distribute the content program can be entered in this category. Any outstanding content created in the form of Video, audio, text or pictorial on digital medium can be entered in this category. This category aims to recognise young talent in the content marketing domain. You can nominate either yourself or your colleagues for the award. Following are the criteria for qualification. Nominees should be under 30 years of age as of 30th March 2018. Nominee should have created path breaking innovative content. Entries are not invited for this category. All entrants will be given points based on the metals they win. Gold gets 10 points, Silver gets 7 and Bronze gets 5. The media/creative agency which gets the highest points will be given the ICMA Platinum Award. His early passion to become a film-maker led him into the world of advertising that eventually led to the realisation of his first love, films-making. As the former chairman and chief creative officer for Lowe Lintas, one of the top three advertising agencies in India, he is one of the biggest names in the media industry. And as the director of acclaimed Bollywood films like Padman, Paa, Ki & Ka, Shamitabh and Cheeni Kum Balki, as he is known, is a formidable name in Bollywood as well. Balki believes that he has been in the same business all along. The business of engaging people with stories. He is a man who followed his passion with humongous success while simultaneously rising up the corporate ladder. Online & Digital Marketing Head – Group Wockhardt Hospitals Ltd. 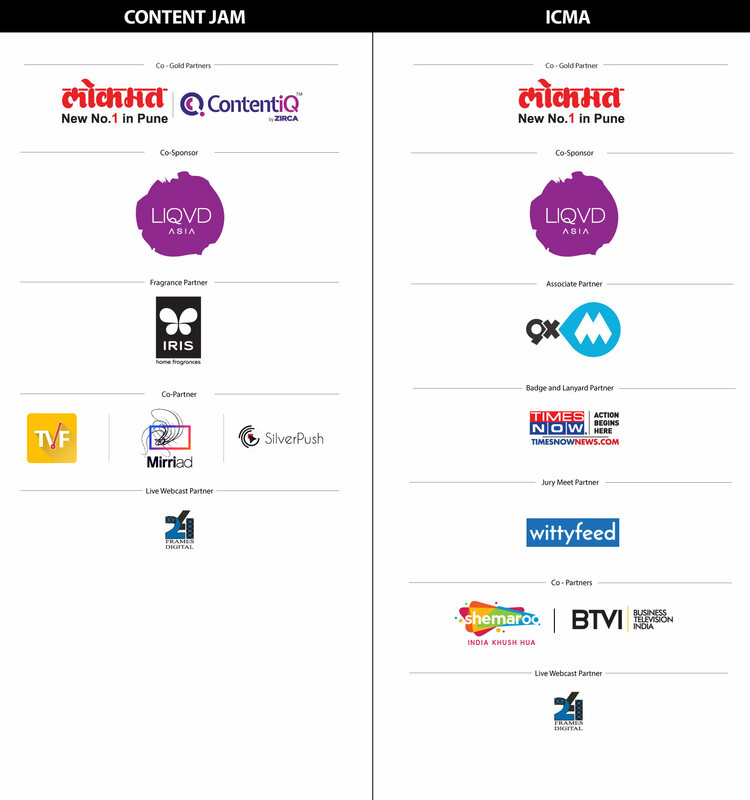 Brand Head – Sustenance Marketing Godrej Properties Ltd.
Indian Content Marketing Awards is judged by an independent panel of highly acclaimed thought leaders in the content marketing ecosystem – Marketers, Creative Directors, Content Creators, Media Owners, and Publishers etc. Intense scrutiny during the judging process ensures that winning submissions truly reflect the best in the content marketing industry and reward the agency and brands successfully using innovation and creativity to push content marketing to new levels. The screening committee comprises of senior professionals from content, advertising, media and marketing principal who individually evaluate and score each submission. Every entry is evaluated to ensure an accurate, thorough review. Up to 5 top scoring entries in each category will form the shortlist. The Grand Jury will convene in Mumbai for a day of intense debate with the goal to select the out-of-the-box and most successful work in each category. The winners will be announced on the Gala Awards Night in Mumbai. The award-winning entries are selected by a jury appointed by exchange4media group. The final list of Gold, Silver and Bronze awards is decided on the basis for the jury discussions and voting. The decision of the jury in all matters relating to awards will be final and binding. Own work – An entry in whose preparation he/she have contributed his/her time and/or skills, regardless of being in employment or association with the said work. Entries where a spouse, parent or child of a jury member has contributed their time and /or skills. Entries from agencies with whom they are currently employed on a permanent basis/on the board of directors or Entries from agencies in which they have financial stake. They will score a NA against such entries. Entries must have been executed in and for the Indian market. It is compulsory for all entrants to submit the case study in an AV format and fill the entry form. AV should NOT be longer than 2 minutes and should be uploaded on YouTube. Please make sure the YouTube link submitted in the entry form is public. The supporting documents (digital images/creatives/analytics/reports/audio files/screenshots etc) should be compiled in a PPT which is to be uploaded on Google drive. Please make sure the Google Drive link submitted in the entry form is shareable. If the same campaign/work is submitted under multiple categories, it will be considered as separate entries and should be accompanied with separate entry fees. Entries will not be considered completed until full payment has been made. All entries submitted will become the property of the exchange4media group. Submission of entry also authorizes the exchange4media group to use images and/or audio/video clips of up to two minutes from a single entry for use on radio [FM/AM/Internet/Satellite] and/or broadcast television (free-to-air, pay, cable, satellite, DTH, FTA, mobile, out-of-home, internet or any other digital medium for the purpose of promoting or reporting the awards) with due credits. It is assumed that all entries submitted to us are the original work done by the entrant and that the entrant is authorized to submit the work and other details on behalf of the client/organization for which it was done. Failure to follow this condition will disqualify the entry/entries. The organisers may contact the client related to any entry at the request of the jury at any time during the voting process should any questions about the implementation or presentation of the work arise. The decision of the Jury in all matters relating to the awarding of prizes will be final and binding. In the event of a complaint against any winning or shortlisted entry, the organisers will conduct a full investigation into each case and will request detailed documentation from all parties concerned including the complainant, the entrants and the client. The organisers will withdraw an award in cases where the complaint is upheld. All entries should be submitted before 31st July 2018. The payment can be made through cheque, demand draft or RTGS payment mode. Tel: 022-66206000 *The last date to clear the payment is 10th August, 2018. Upon payment completion one must send the scanned copy of cheque/DD/receipt along with total number of entries uploaded to the above mentioned email ids. 10:45 am – 11:30 am Keynote Session Rajesh Ramakrishnan, MD, Perfetti Van Melle India Content Matters: Ignore at your own Peril Content is not about product selling or creating a brand film; today it can make or break the very image and legacy of a business. How should leaders strive for a unified strategy that puts content at its heart? 11:30 am – 12:00 pm Panel Discussion Session Chair: Arnab Mitra, Managing Director, Liqvd Asia World Wide Creating Sustainable Content Play Content consumption habits have very clearly moved to social and OTT & Digital platforms, not only for the millennial but for a large portion of connected consumers. Will original content continue to be a differentiator and drive growth for OTT & Digital Platforms ? Is the Potential for Indian subscribers paying for premium content not too far from reality ? Have the OTT & Digital Platforms decoded what will keep them relevant and in business in the long term? 12:15 pm – 12:50 pm Fireside Chat Sunil Lulla, Group CEO, Balaji Telefilms Ltd. Primetime vs. My Time For a long time now, content creators have been preparing for content-on-the-go and for an audience that wants it now. How have newer forms of technology changed this conversation? 2.50 pm - 3.15 pm Speaker Session Sujit Ganguli, Head Brand & Communications, ICICI Bank Crafting Content for Business Outcomes Are we using data and insights to measure how content initiatives are performing for brands? What should be done to bring in metrics to show incremental return on investment in content led initiatives? How should we move the needle from ‘likes’ and ‘shares’, while judging a content initiative’s success? 3.15 pm - 3.30 pm Speaker Session Kranti Gada, Chief Operating Officer, Shemaroo Entertainment Limited India Khush Hua : Content Creation & Building Brands for the masses on digital platforms Today content creation is driven by targeted opportunities. Is there a way brands can achieve large scale reach on digital. 3.30 pm - 4.15 pm Panel Discussion Session Chair: Samir Bangara, Founder & MD, Qyuki Digital Media Content Intelligence: Injecting Science into Content Creation Are content creators and brand owners relying on digital, data and technology as an ally? Have newer forms of tech allowed in generating insights that can guide in content creation, which otherwise tends to be about gut feel and intuition? Is the foundation on which content planning and creation done bolstered enough to produce new content solutions that will deliver results? What should the role of tech be for content creators and for brand owners? Is the role of creativity augmented or compromised? What are the challenges ahead? 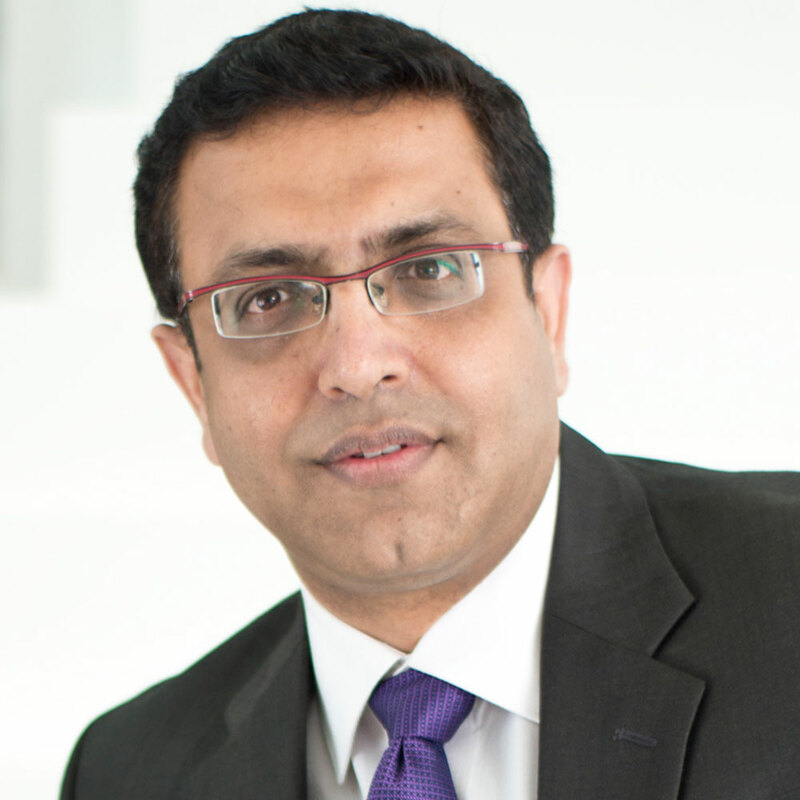 4.35 pm - 4.50 pm Speaker Session Arnab Mitra, Managing Director, Liqvd Asia World Wide Why Digital breaks itself? 4.50 pm - 5.35 pm Panel Discussion Session Chair: Devendra Deshpande, Head Content Plus, Mindshare From Content Silos to Content Ecosystems.Unlike legacy media, where a brand knew where, what, when and how its content would be seen, today brands are dependent on media scenarios that include multiple variables before any form of content is shown to a particular consumer. How are brands changing from focusing on self to monitoring and preparing for the big picture of where their content will be seen? How should brands identify, partner and collaborate with other ecosystem players to ensure that their content makes maximum impact, in a desired way? Is brand safety still a concern on digital platforms in India? What are the expectations thereof? Sunil Kataria is Business Head - India and SAARC, Godrej Consumer Products Limited (GCPL). A graduate in Economics from Delhi University, Sunil is also an MBA in Marketing from the Institute of Management Technology (IMT) Ghaziabad. Sunil joined GCPL in 2011 to oversee the sales and marketing organisation for the India and SAARC businesses. He has successfully led the merger of the sales and marketing organisations of GCPL and the erstwhile Godrej Sara Lee, combining the best of both companies and leveraging their complementary strengths to create a future ready platform to accelerate GCPL's growth and profit trajectory. Under his leadership, the GCPL sales and marketing organisation has become more world class with sharpened and enhanced capabilities. Sunil has diverse work experience across the FMCG and Consumer services sectors in Sales, Marketing and business roles. He had a long and highly successful stint of 12 years at Marico Industries. Post this, Sunil has also served as business head in two challenging service sectors: retail and telecom, leading large and complex business operations. Prior to joining the Godrej Group, Sunil was Chief Operating Officer at Idea Rajasthan Circle, where he headed business operations and was responsible for the P&L of the Rajasthan Circle. He also led a major turnaround of the Idea Rajasthan business, overcoming serious business constraints and a challenging period of price wars in the telecom industry to emerge as the largest gainer in revenue as well as subscriber shares. Sunil is currently serving as the chairman of the Indian Society of Advertisers (ISA). He has built very strong relationships and equity with marketing bodies such as the CMO forum, FICCI FMCG committee and ASCI. He has also been recognised at a national level by being nominated for the "Marketer of the Year" 2014 award by the International Advertising Association (IAA) of India. Sunil has also been shortlisted as one of the "Top 10 influential CMOs of India – 2015" at the Indian Marketing Awards anchored by the exchange4media group. Sunil is a staunch believer and practitioner of the spirit of 'Possibility Thinking' and feels that this, coupled with a passion for flawless execution, is the biggest competitive advantage in today's world. An avid reader of books across genres, he also writes Hindi poetry in his spare time. He is a movie buff, who loves watching Hindi movies and Hollywood science fiction. 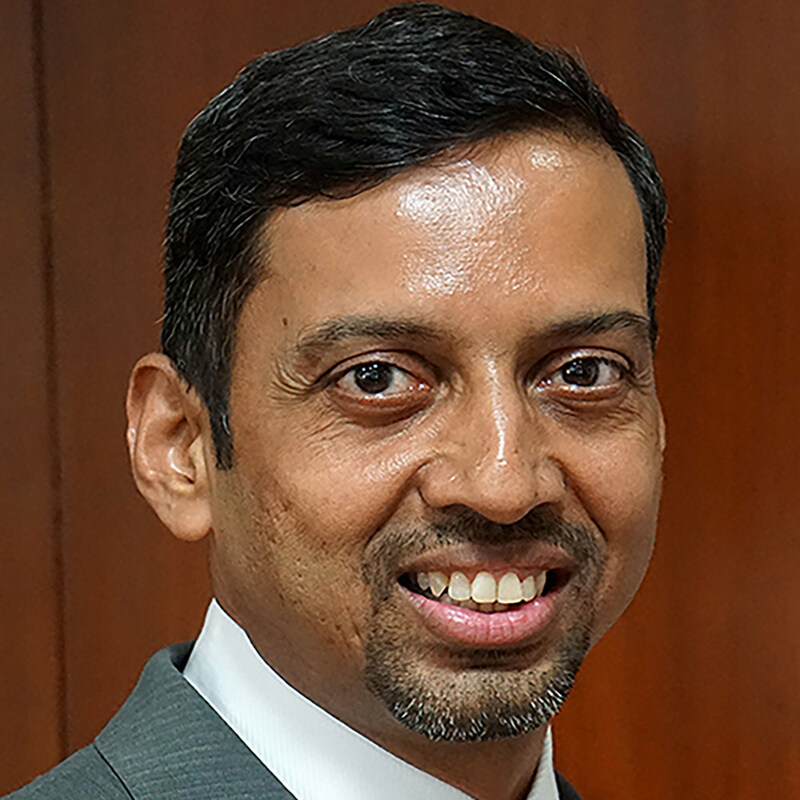 A veteran with more than 24 years of experience in General Management, Sales and Marketing, Rajesh Ramakrishnan is the Managing Director at Perfetti Van Melle India, the country’s leading confectionery player. Rajesh is responsible for the overall operations of the company for India and Nepal. An accomplished business leader and a seasoned marketing professional, Rajesh has worked across categories like Personal Care, Household Care, Foods & Beverages, Confectionery and Media. Rajesh is well respected for his extensive skills and knowledge across management functions. Under his leadership, Perfetti Van Melle, Bangladesh delivered sustained growth and achieved market leadership in 2016. Prior to joining Perfetti Van Melle in 2014, he was the Marketing Head at HT Media Limited. He has also held senior positions in diverse corporations including Pepsico, Marico Industries and Reckitt Benckiser. Post his graduation in Engineering from BITS Pilani, Rajesh pursued his masters from XLRI, Jamshedpur. Rajesh is an award- winning photographer. His work has been featured at Cannes and has also been published in several publications in India and outside. He is also passionate about travelling and has been on expeditions to Everest Base Camp and Kilimanjaro. Rajesh along with his wife and teenage daughter started an initiative- My Daughter is Precious [MDIP] in March 2015 to raise awareness about gender equality and support the education of the girl child. Sunil thrives on driving brands and businesses to market-place leadership. With over 35 years of experience in building JWT, GREY, MTV, SONY, TIMES, Indya, Diageo, Sunil is now the Group Chief Executive Officer of Balaji Telefilms Ltd. An active votary for the media industry’s growth, Sunil is an active voice in industry forums. He is equally passionate about running as he is about chasing dreams. Karan is the Managing Director of ZIRCA and has more than 10 years of experience in the digital marketing space. He drives ZIRCA’s digital growth and oversees the business development function since the company’s inception. Under his leadership, the company has won various accolades and has seen trajectory growth with the addition of various prestigious clients like Microsoft, The Economist to name a few. Karan is an MBA in International Finance from Virginia Commonwealth University - School of Business. After his MBA, he also served as president of the ‘Student Managed Investment Portfolio’ at the university for two years. Karan is also the Director at AIDEM Ventures Private Ltd., a pioneer in the media services space having created a suite of services for media owners on broadcast and web. AIDEM’s digital business was spun out into a separate entity called ZIRCA Digital Solutions where Karan closely works with the entire management team, charting the growth for the group, making significant investments in India, as well as South East Asia. Hitesh is the founder and CEO of Silverpush, a mobile ad tech start-up established in India. A tech entrepreneur with over a decade’s experience in data analytics and digital ads, Hitesh has grown SilverPush to pioneer India’s first mobile DSP, as well as leading its international expansion. Founded in 2012, SilverPush incorporates its patented video fingerprinting and content recognition technology for real-time TV sync product campaigns. It is used to develop new ad-tech products to serve contextual In-Video ads that enhance user experiences on video platforms; namely through the detection objects, emotions and brand assets. Prior to establishing SilverPush, Hitesh co-founded Wiseassist Technologies in India. The company, via its proprietary product ‘WiseTouch’, primarily focused on creating centralised platforms to serve advertisements on outdoor media screens and tablets. Before going into entrepreneurship, Hitesh worked in various research roles after graduating with a degree in Engineering from the Indian Institute of Technology in Delhi. He initially joined the University of New South Wales in Australia, serving as a Research Assistant in 2004-2005. There, he worked within the field chemical engineering and had two of his research papers published in international publications. After that, he joined global professional services firm Evalueserve as a Research Associate; a largely tech-based role in which he was heavily involved with the firm’s patents and analytics operations involving Fortune 500 companies. Hitesh’s motivation to found SilverPush was to do something different within the ad tech space and to do so in his home country of India. Having seen limited success with Wiseassist Technologies, Hitesh later decided to focus bringing about change in the contemporary digital ads ecosystem. From initially doing the company’s coding work by himself, Hitesh has grown SilverPush into a multinational company which is now present in Indonesia, Thailand, Malaysia, The Philippines, Vietnam, Singapore, South Africa, Tanzania, Japan, Egypt and the United Arab Emirates. The company also recently raised $2.5 million in pre-series A funding and has plans to expand into the United States as well as other emerging markets in South Asia, Africa and the Middle East. Arnab Mitra, is a 1st generation entrepreneur who is a very well-known & respected name in the Digital Industry, Arnab has spent more than a decade strategizing & implementing digital strategies for multinational brands like Samsung, Research In Motion, Volkswagen, General Motors, Capgemini, Redbull etc. The agencies that he has worked with have won several digital accolades under his leadership. Awarded in Impact Digital Power 100 (2013, 2015), the 100 most influential people in digital media in India, Arnab is indeed the go-to-man for everything Digital. In his quest for perfection & customer delight, Arnab has started the first experiential marketing company in Asia called LIQVD ASIA and is servicing innovation. Recently his company got invested by the coveted Concept Communication Ltd. (news to be published) Before starting up, Arnab worked as National Director for Starcom Mediavest Group and prior to that he has worked with Havas Media, where he was heading the agency in South Asia. NiAmos, which is Arnab & his team’s brain child, is Asia’s 1st IoT, device with a potential to change the brick & mortar retailer. Rupin Nanani heads the Research & Analytics team at Zirca. He drives the entire research function at the company, ensuring the consumer is always at the centre of its marketing efforts. He has spearheaded the development of Zirca's two proprietary products: ContentdB and ContentiQ. ContentdB, Asia’s first integrated native advertising management platform, won Best Content Marketing Platform/Software in 2017. And, ContentiQ will help marketers adopt a more human-first approach to content marketing. Rupin has more than 12 years of experience in online and offline media, and previously he has led the research function for the Times Network cluster: Times Now, MagicBricks Now, ET Now & Zoom. Prior to Times Network, he has also worked with companies like ZEEL, BBC (across TV, radio & digital research), TNS, The Nielsen Company (both market research agencies) and Madison Communications (an advertising agency) in client servicing roles. He is an expert at generating insights from a wealth of data, productizing insights; he not only has a keen eye for detail but also can see the bigger picture. He was recognized for his exceptional contribution towards the launch of MagicBricks Now (later changed to Mirror Now). 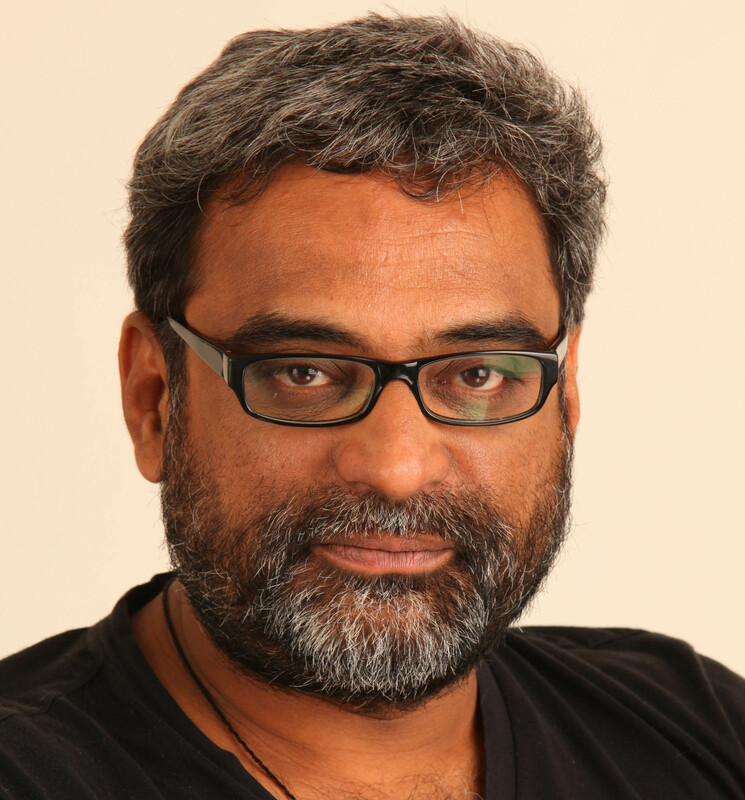 Ajay Nair is the Director at Only Much Louder (OML). He helps plan and execute the overall strategy at OML. Ajay graduated from IIM Lucknow in 2004, and has previously worked in private equity, investment banking and business consulting businesses in India. OML has worked on several ground-breaking and innovative content projects including The Dewarists (which was awarded a Bronze Lion at the Cannes Lion 2012 in the branded content category), news comedy show On Air with AIB on Hotstar, Chacha Vidhayak Hai Humare and 5 other web-series on Amazon, comedy stand up specials and Comicstaan on Amazon. OML focuses on reaching the youth market in India through high quality entertainment properties including music festivals, concert properties and branded content. The artist management division of OML manages some of the biggest independent music and comedy acts in the country including AIB, Kanan Gill, Zakir Khan, Kenny Sebastian and Abish Mathew, among others. Arun Unni is the Chief Content Officer at Tata Sky. He is responsible for acquiring satellite and digital content, including channels and services made available to Tata Sky subscribers through the set top box and Tata Sky Mobile App. Prior to Tata Sky, Arun has worked in the past with A.T. Kearney and KPMG as a Management Consultant. His profile there included developing go-to-market strategies and driving operational efficiency for many large consumer and industrial companies. A techie at heart, Arun passed out from IIT- Bombay as a graduate and is a Post graduate from IIM – Ahmedabad. He likes to explore content on television and play with his kids on the beach in his free time. Prachi heads the Marketing team at fbb. She has over 14 years of experience across varied industry and products encompassing FMCG, B2B as well as direct selling across Food and Beauty brands. Prachi has worked with India leg startup of Cosmetic Giant Mary Kay as well as established business like Oriflame and Modicare. Her stint with FMCG has been with exciting food category of Ready to cook/ eat segment and established player Rich Kwality of the Baskin Robbins ice creams fame. Prachi enjoys the dynamic marketing field and feels energized following various consumer preferences and behavior cutting through regions and cultures. She loves meeting new people from all walks of life and believes that traveling and getting exposed to new cultures are the best teachers in life. Prachi is married to Kunal and loves to travel and explore food jaunts with him. She loves to tend to her plants, read and bakes diligently to explore her creative side! Sudhanshu Nagpal leads the Biscuits Category in India. As Head – Biscuits Category, his role includes delivering the Strategy and landing the overall innovation & communication agenda on the brands and delivering the P&L for this category, in India. Sudhanshu joined Mondelez India in January 2005 as Management Trainee. Sudhanshu has worked across sales, brand/category management, innovation and customer marketing functions in categories like Chocolates and Biscuits. He is part of both, the Asia Middle East & Africa (AMEA) Biscuit Leadership Team and the India Country Leadership Team. Sudhanshu holds a PGDM in Marketing from IIM Calcutta. Sachin has eighteen years of experience in Fast moving consumer goods business. The experience straddles Food and Non-Food sectors, and has been primarily in the functions of Sales, Marketing and Strategy. The experience is spread over varied geographies within India and in Germany. 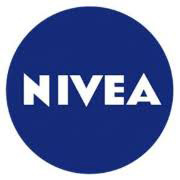 Sachin been part of NIVEA team since 2010. Sachin holds a Post Graduate in Management form SP Jain Institute of Management and research, he also holds a degree in Cost Accounting. He has completed his Bachelors in Commerce from Narsee Monjee college of Commerce and Economics. Amitabh Pande is Deputy Marketing Manager, for IKEA India, with functional responsibility for Strategy, Planning and Insights. He joined IKEA 2 years ago, and has worked closely with the team to launch IKEA in India, helping create the communication strategy, the communication idea and plan for launch, the affordability strategy for the range, the long term brand direction, the setting up insights processes for measuring and tracking brand performance, and overall being the Indian consumer’s voice in ongoing decision-making. Prior to joining IKEA, he practiced as an independent consultant for 2 years and before that, he led the Consumer Insights and Strategy vertical for Pepsico for over 14 years, across different businesses of Pepsico, in both India and UK. When not at work, Amitabh spends time with his family, especially his energetic 11 year old son. He loves to read, is a huge content and movie buff and regularly reviews the movies that are playing in cinema, on his blog and on his social media handles. A marketer par excellence, Manish is the Business Head at ZEE5 India. 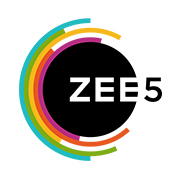 In his current role, Manish is tasked with the responsibility of establishing ZEE5 as the Number 1 OTT player in India. Prior to this, he held the position of Global Chief Marketing Officer at ZEE5 for a year. Manish brings with him 18 years of rich experience during which he has led teams at Fortune 500 companies including Procter & Gamble, GroupM and Coca-Cola. Thereafter, he has traversed the spectrum to work with E-commerce start-ups Myntra.com and LeEco. During this time, he has built a robust body of work across functions, categories such as FMCG, Fashion, Mobiles, OTT and E-Commerce, and geographies spanning ASEAN, Australasia, MENA and India. Manish is widely lauded as the brain behind the path-breaking Anouk Bold is beautiful campaign that received the Bloomberg Disruptor's Award in E-commerce category and Grand Prix and Gold in Made in India category. Over an illustrious career, Manish has been recognized at various industry award forums like Emvies, Goa Fest and Campaign Global for contribution across clients and categories, and he also won accolades from clients like PepsiCo for his stellar leadership on the account. He was part of the team that won ‘Best Quaker Oats initiative across PepsiCo globally’ award from Indra Nooyi, CEO PepsiCo Global, the first and only brand from India to receive such recognition. He has also been part of the Mobile Marketing Awards India Jury team.